To expand your knowledge base, I strongly recommend reading The Role of Halogens in Terrestrial and Extraterrestrial Geochemical Processes (Springer, 2018). 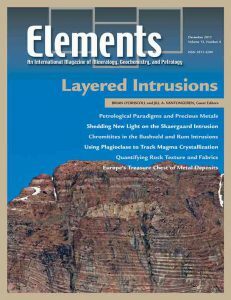 This remarkably comprehensive compilation of papers has been edited by Daniel E. Harlov (GFZ Potsdam, Germany) and Leonid Aranovich (IGEM RAS, Russia) and has opened my eyes to the many roles that halogens play in geochemical processes across a wide range of geologic environments. 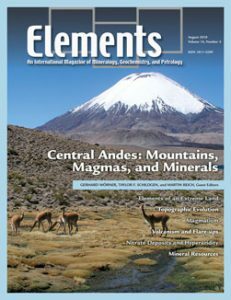 What makes this collection of papers unique is the diversity of subject matter, all focused on halogens, but with contributions from authors whose paths never likely cross at scientific meetings. Success in science has basically two components: (1) what one might call the “research component,” involving the testing of a hypothesis or the acquisition of a unique data set that provides insight into the workings of nature; (2) the “communications component”, which involves the dissemination and archiving of the knowledge that has been won. For me, the importance of this second, communications, aspect within the scientific process seems all too often underappreciated. 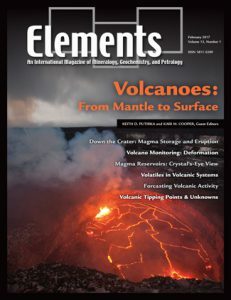 Problems that many of us have certainly encountered in the geochemical literature range from incomplete descriptions of an analytical method, to the use of ambiguous jargon, to authors simply using the wrong terminology, etc. Proficiency testing (PT) is a cornerstone of good analytical practice, providing one of the few means of really testing the quality of a lab’s analytical output. Participation in a routine PT scheme can form part of lab accreditation, and for many industrial applications (e.g. ore grade determinations for the mining industry) it is often expected that mineral assay laboratories track their PT results. As an example, National Instrument 43-101, which is Canada’s “Standards of Disclosure for Mineral Projects”, requires the written disclosure of the methods used to verify quantitative data related to new mineral prospects seeking public funding. Hence, proficiency testing has become a de facto component of ore grade assessment whenever a mining company applies for listing on the Toronto stock exchange. Clearly, proficiency testing is not only of research importance but also plays a central role in the world’s mining industry. I have worked in the field of mass spectrometry for some 30 years now, and I have long been interested in tracking those technical developments that might offer new options for the analytical geochemist. 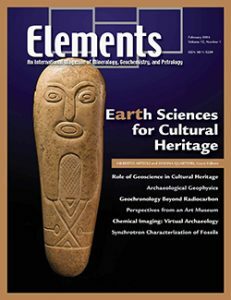 When laser ablation was selected as the topic for the October 2016 issue of Elements, I wanted to devote this Toolkit contribution to some emerging technology that might significantly advance mass spectrometry’s contribution to laser ablation analyses. After a bit of research, and having contacted some of the leading names in the field of laser ablation, I chose to highlight the time-of-flight (TOF) method as a new analytical strategy with promising new opportunities.